We provide a community that is active, welcoming and fun. SilverSneakers is a fitness program for millions of boomers and beyond that helps to defy the odds, shatter stereotypes and answer every challenge with, “I can do this!” We also offer fitness classes for all abilities, whether weights, treadmills, pools and other amenities at gyms and other locations. The philosophy and physicality of the yoga practice is to re-educate the body and the mind through movement, breath, and stillness. Yoga helps us to experience the feeling of safety in our bodies. The body remembers neglect, abuse, and terror which traps us between regret of the past and fear of the future. Our yoga exercises will help you to experience external circumstances without becoming overwhelmed. 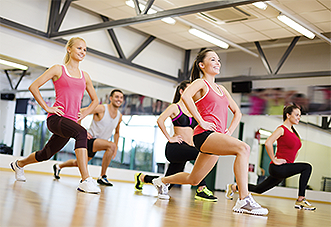 Our Zumba class is designed to take the "stress" out of any workout, by mixing low-intensity and high-intensity moves for an interval-style, calorie-burning dance fitness party. So, whether you are Latin or not, the universal rhythm will take over, and suddenly you'll know why these classes are known to burn calories. We guarantee you a total workout, combining all elements of fitness – cardio, muscle conditioning, balance and flexibility, and boosted energy each time you get Fit2themax. Aerobic exercise is sometimes known as "cardio"- this exercise stimulates your heart rate and breathing rate and improves fitness; as well as, both physical and emotional health. 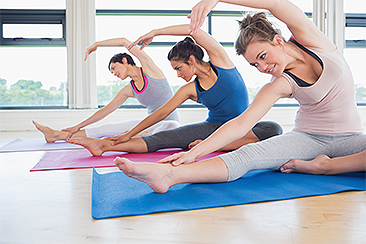 Aerobic exercise can help prevent or reduce the chance of developing some cancers, diabetes, depression, cardiovascular disease, and osteoporosis. Fit2themax will provide you with a workout that will undoubtedly keep you coming back for more! 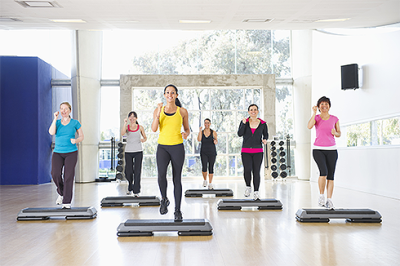 We will use cardio and strength training to facilitate our aerobic step exercises weight loss. Step aerobics for weight loss comes with many benefits to your health including burning those dreadful belly fat, and building cardiovascular fitness needed to move on to more advanced forms of aerobic exercise. 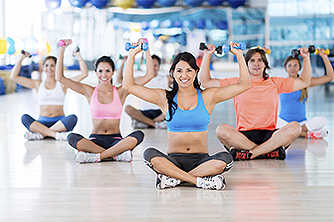 We will combine aerobic step exercise and ab workout when helping you to burn belly fat. Personalized nutrition consultations are our specialty. Our approach is based on our innate ability to meet the clients need (wherever they’re at). Nutritional programs clarify optimum dietary and lifestyle approaches specific to your health and are innovative in facilitating behavior change — a vital tactic for clients who know exactly what they should do but have difficulty implementing their best intentions.